August 9, 2016 - Farmers in Northern Ontario have a short growing season. There’s little room for error, and every bit of data helps. That’s why for the past seven years, a research team has built a tool that gives both real-time and historic information that helps growers make more informed crop management decisions. The project, called GeoVisage, is the brainchild of three Nipissing University researchers – geographers Dan Walters and John Kovacs, and computer scientist Mark Wachowiak. The team says the project was born from a request from area farmers to collect data that could be shared with farmers in a timely way on their own farms. Farmers typically relied on inadequate data from weather stations at regional airports, which can be up to a hundred kilometres from farms, and located on escarpments, rather than the clay belt, where crops grow. 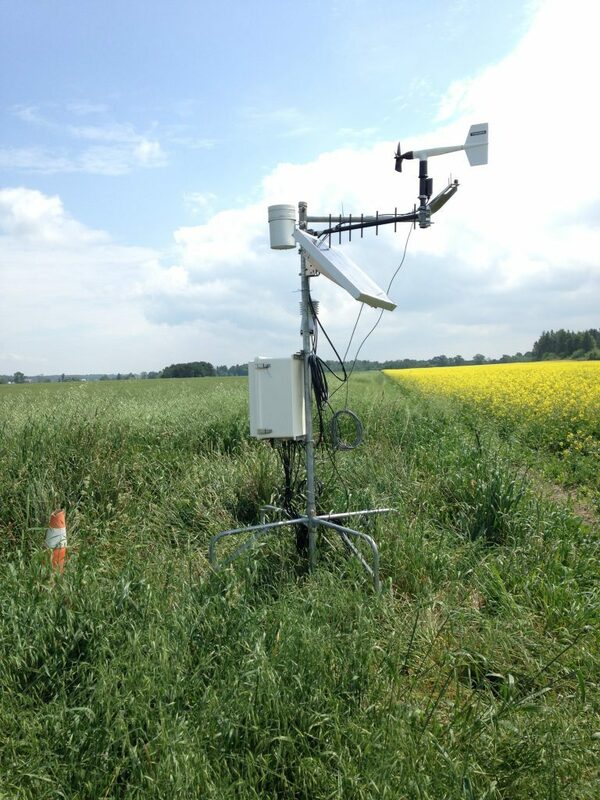 Over the past seven years, Walters and Kovacs have installed a series of weather stations on farms throughout the region. Some units update key data points every hour, while newer stations provide real-time updates, accessible through the GeoVisage system by computer or other device. The team also incorporates satellite imagery and drone technology for aerial views of fields at different times throughout the season. A research team has built a tool that gives both real-time and historic information that helps growers make more informed crop management decisions.